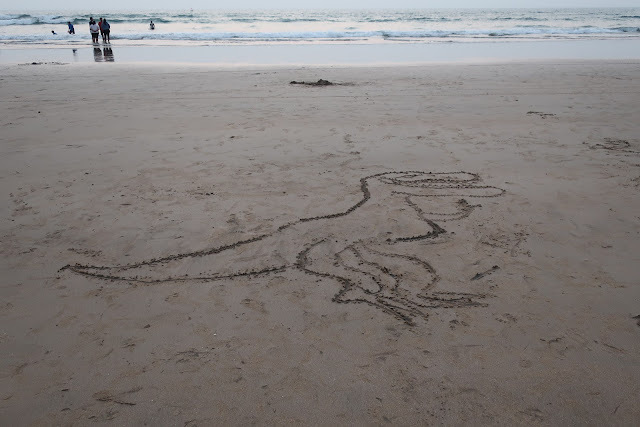 Our December vacation was a road trip from Bangalore to Maharashtra and back. Yes! we always wanted to do a road trip in our Bimmer. This trip was not only about enjoying the car but the joy of exploring an unknown territory spread out all around us, prompted us to go ahead. Additionally, having our car handy all the time was a real boon in an area like Konkan. Who says it is always the destination which counts! Sometimes the journey too can be as interesting, if not more, as the destination :) This road trip was beckoning us to explore the ever changing landscape as we passed along the Karnataka-Maharashtra border. As we kept on driving, not only the topography and natural landscape changed but also we witnessed a perceptible change in the social and cultural landscape - the farmlands, the type of crops, the small villages along the way, the local dress of the village folks, the temple structure, the local houses - everything kept changing as we cruised along. Not only that, but to our good fortune, the food too changed flavours and texture as we entered Maharastra. Experiencing this firsthand was possible only because of the road trip that we took, which was a gorgeous, no-hassle drive with good roads and service throughout. 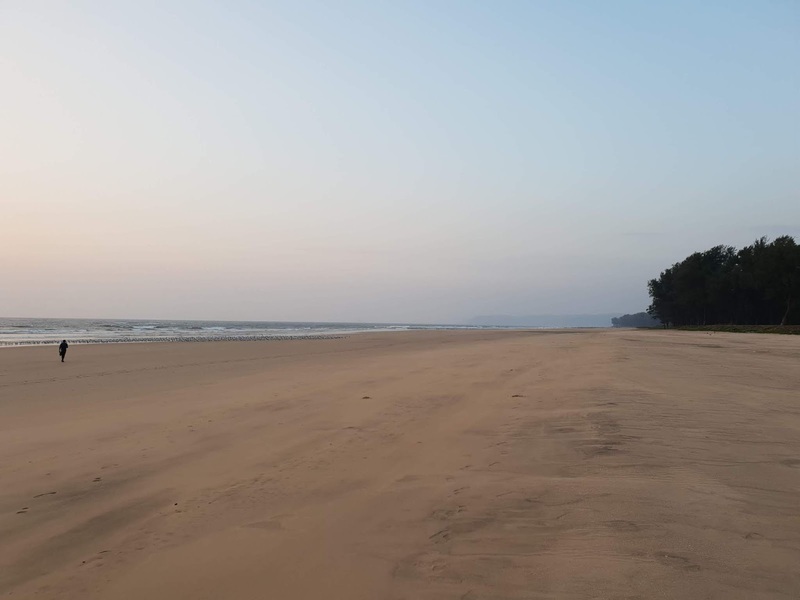 1) Drive from Belgaum to Ganapatipule in Konkan and make that our base for the next 3 days. 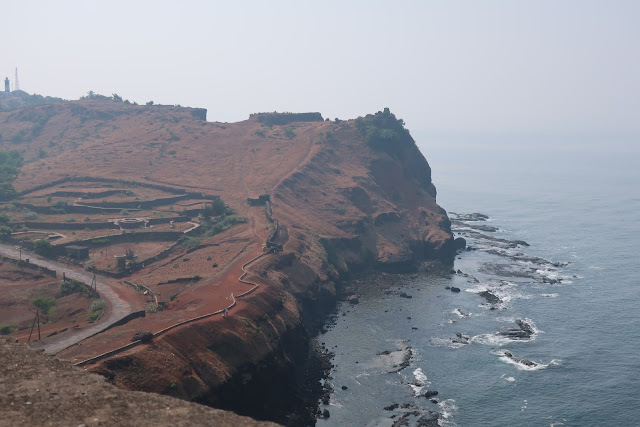 2) That was to be followed by driving to Dapoli, some 4 hours away up north and spending another 2 days there. No, we couldn't reach Dapoli at all as our car experienced a burst tire in the middle of a jungle while we were on our way. However, we could drive for more than 40 minutes in that situation (thanks to tubeless tires!) to the nearest Shringartali village, where a car garage helped us assess the situation and change our plan. 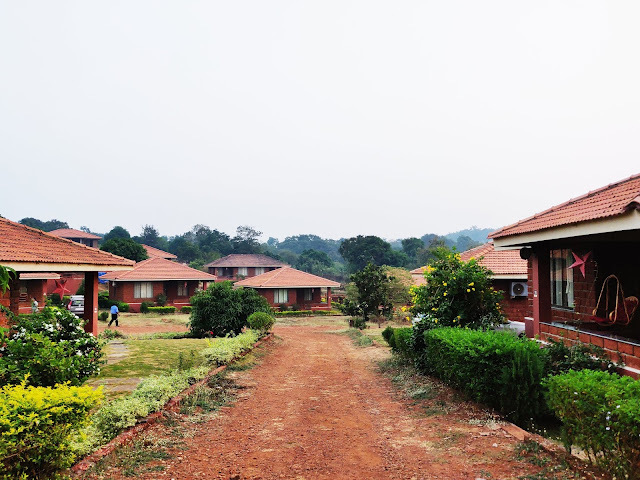 So deciding against driving to our hotel in Dapoli, which was another 65 kms away, we decided to check in at the nearby resort -Mango Village in Guhagar. 3) Finally, we had planned to spend our last leg of the vacation in Mahabaleshwar, a picturesque hillstation in the Sahyadris, before returning to Bangalore and Home Sweet Home! 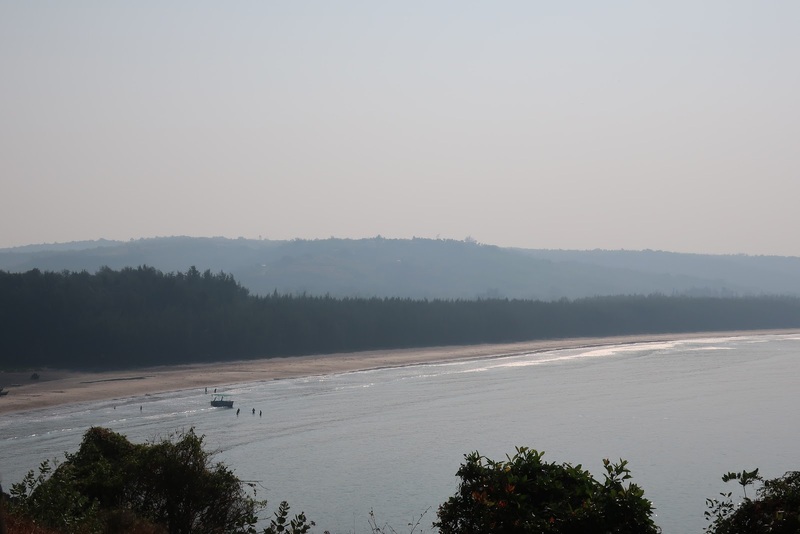 This little seaside village got its name due to the popular Ganapati Swayambhu temple, which is situated right next to its beach. 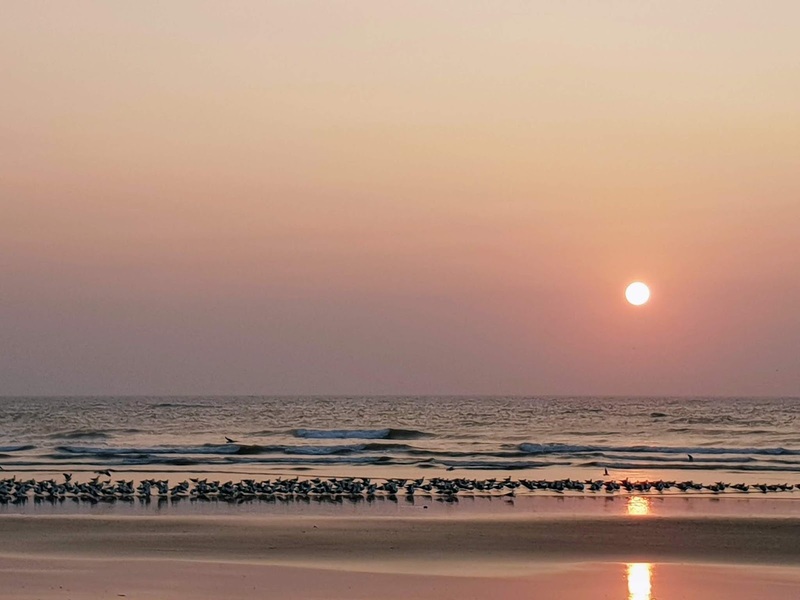 It's basically a small little temple town boasting of gorgeous beaches, a Prachin Konkan museum and awesome authentic food. There are breathtaking views and beaches at every 5 min drive from the main part of the town. 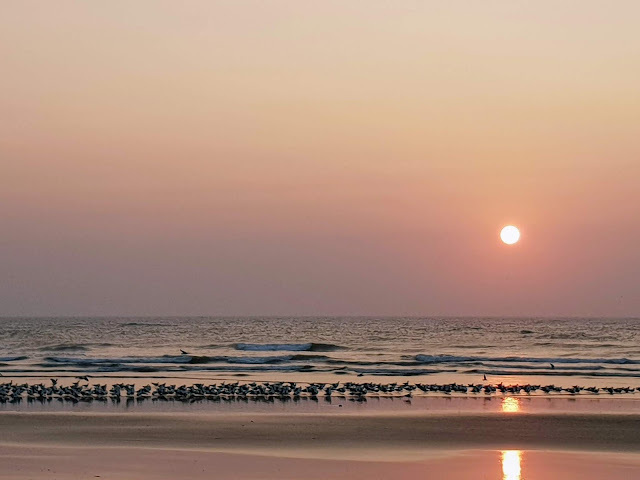 Ganapatipule beach, Aarey Waare Beach, Malgund beach are all beauties with white sandy stretches spreading across miles. 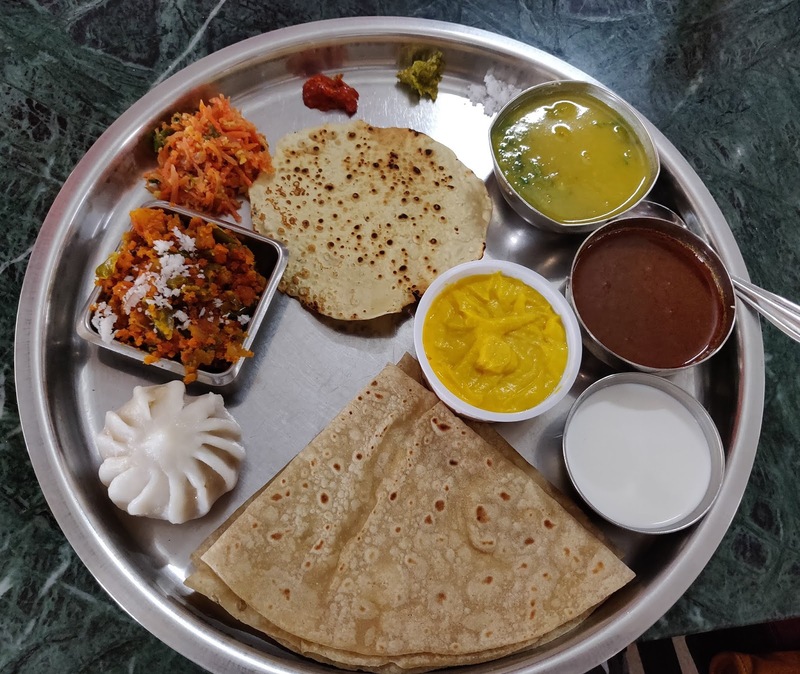 @ Mehendale's Swaad Dining - clockwise from left - Modak, bhopla mirchichi peeth perun bhaaji, koshimbir, papad, lonche, thecha, varan, kalya vatanyachi usal, dahi, poli and aamrakhand. 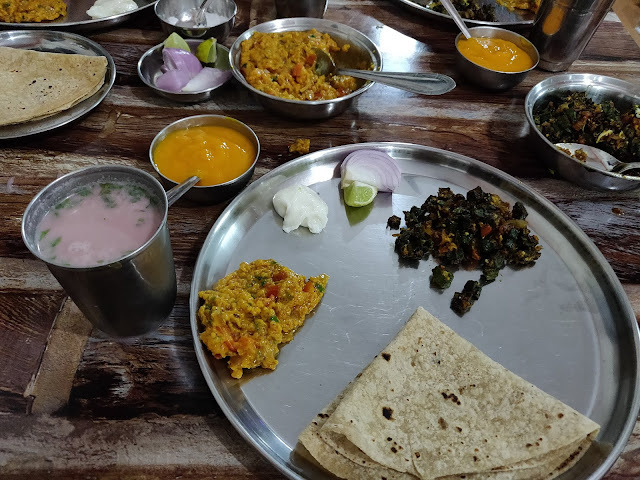 I can safely say that Ganapatipule was a culinary destination for us more than a sightseeing destination. 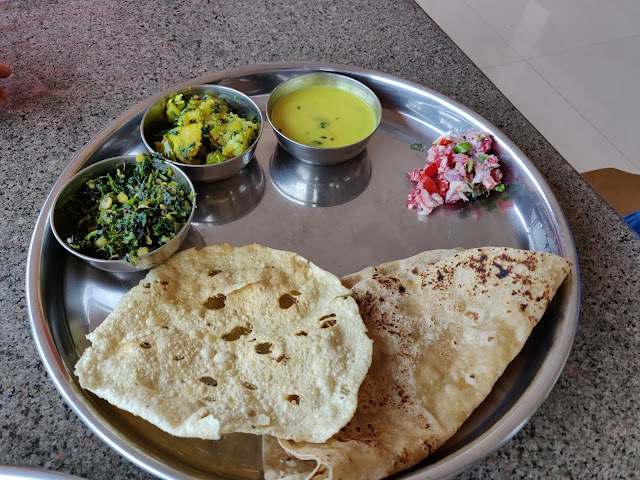 We ate and ate and in between did a quick day trip to the nearby Ratnagiri as well 😁 . 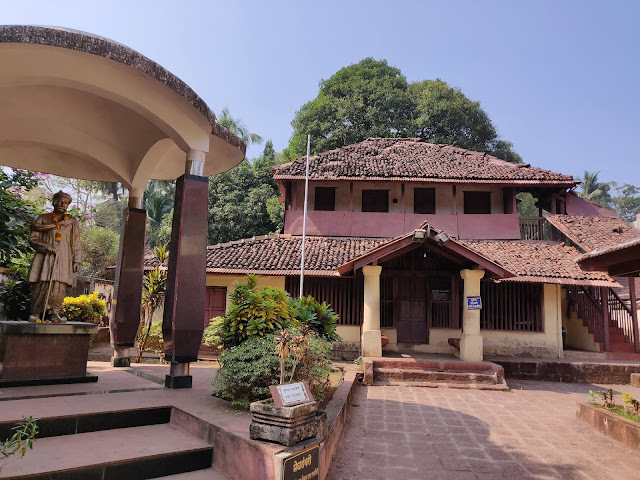 Visiting Tilak Ali Museum, the birthplace of Lokmanya Tilak and the Ratnagiri fort, is time well spent. The town is also a good place to shop for all the Alphonso mango preserves like aamras, aam papad, aamba burfi, dry chutneys, kokum agal and syrups. Well, for us, Ganapatipule was all about relaxation, beach hopping, a bit of sightseeing in and around it and of course, gorging on delicious food...how are you going to plan it? Tip: One can buy conches and shaligram (holy stone) from the Prachin Konkan museum. This was the next leg of our journey. We were glad that we stayed back at Guhagar instead of driving up all the way to Dapoli. 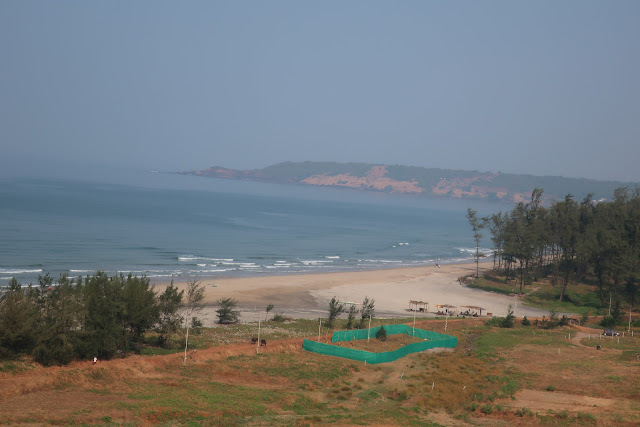 Mango Village Resort is a lovely place tucked away near the scenic Guhagar beach. Little independant bungalows dotted the resort village with a restaurant that again served mouth-wateringly delicious local food. A small clubhouse, a play ground and a Ganesh temple at one end of the resort completed the 'village' feel. The best part of Guhagar is its beach. This gorgeous white sandy beach stretches for around 6kms in a straight line till it merges with the horizon at one end. A silhoutte of a whitewashed temple at the other end with the setting sun in the background reaffirms the beauty of the entire landscape. The serenity, solitude and beauty of the beach during the golden hour of the sunset made all of us feel really light-hearted and happy. It is difficult to describe in words how vastly this magnanimous nature can influence us lesser mortals! 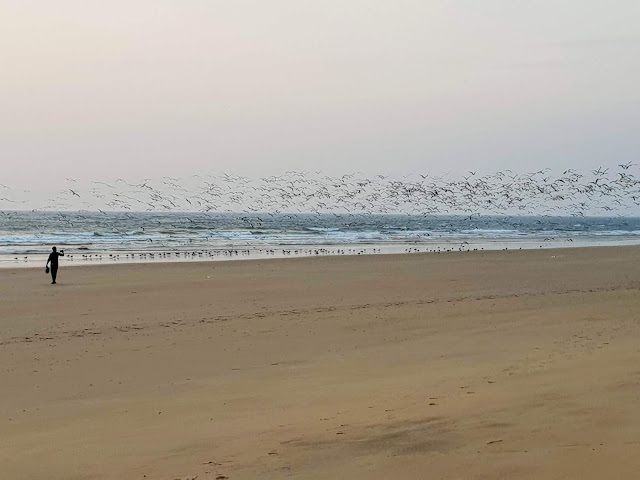 The beach was spotlessly clean and was flocked by sea gulls at one spot. The setting sun casting its orange light on the flapping sea gulls made for a lovely sight. One can easily spend hours there gazing at the blue sea, enjoying the breeze and doing nothing. It is a must-visit spot if you are in Guhagar. We spend a lovely evening there chasing the sea gulls and leaving our footprints to be washed away over time. Tip: Guhagar is a small village with a lovely beach and a couple of lakes nearby. It is a retreat for a perfect relaxing weekend. So do not expect many commercial activities and establishments like water sports, restaurants and the usual buzz in there.